Axebane Games returns with a new project, this time, modular dungeon tiles for your D&D and other RPG games. If you’ve been a follower of this blog, you may remember Axebane (or Daniel Walthall) for his fantastic Deck of Many Dungeons (which you can find my last Death By Review here). 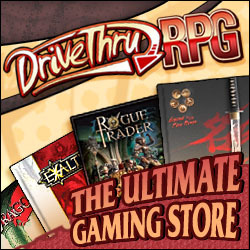 Axebane has been busy with other projects since those Deck of Many Dungeons (click here for DriveThurRPG storefront). Before the holiday season, I was asked to review the first in an upcoming series of dungeon tiles to be produced by Axebane and was delighted with the visual quality I often find in his artwork. Axebane Game’s Modular Dungeon Tiles Volume 1 is available for purchase on DriveThruRPG now current for $4.99 USD which includes 25 dungeon tiles with a PDF and a zip file for the images for use in virtual tabletop software such as Roll20. While I personally do not play many of my games on Roll20, I can appreciate the inclusion of such files to upload for your games. Not to mention the quality artwork for the price compared to other dungeon tile sets you may find in the Roll20 marketplace within that price range. During my two-week-long break, my players for Team BAJA had their first Battle Royale (or Player vs. Player) event. Most of the players were 12th-level, and at that sort of power level, things were going to be potentially insane, and I wished to provide an arena that was large enough with a nice variety of hazards to indeed make this an epic showdown. The winning player was obviously going to have bragging rights until the next time we revisited another royale. I took the opportunity to use Axebane’s dungeon tiles to create the arena for this grand spectacle. The instructions suggest that you print the dungeon tiles in card stock or heavy printing paper and adhere them onto foam core board or cardboard. I definitely recommend heavier paper if you do not have cardstock presently available but regular printing paper is fine as well. You will definitely want to use something like a glue stick or a stick spray to adhere the printed tiles onto the foam board. 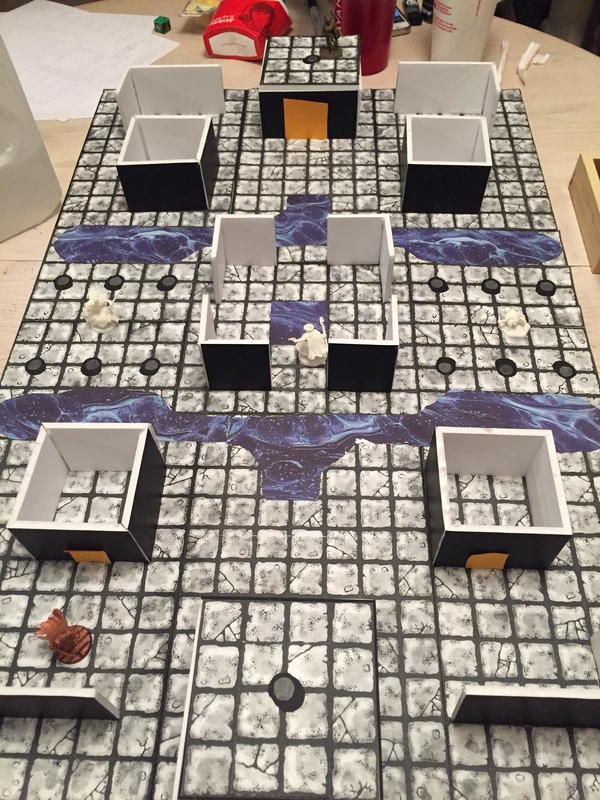 Foam core honestly holds its shape better and is much easier to cut with a sharp blade, I constructed my arena (and most of my dungeons) out of foam board, and it was aesthetically pleasing to look at. Print your tiles and stick them to the foam core board. It definitely makes an overall difference, I recommend black foam core whenever possible. Print multiples of tiles you will often use, namely corridors, intersections, corners, and stairs. You will always use these often and doesn’t hurt to have extras when generating your dungeon whether randomly or from a pre-determined design. 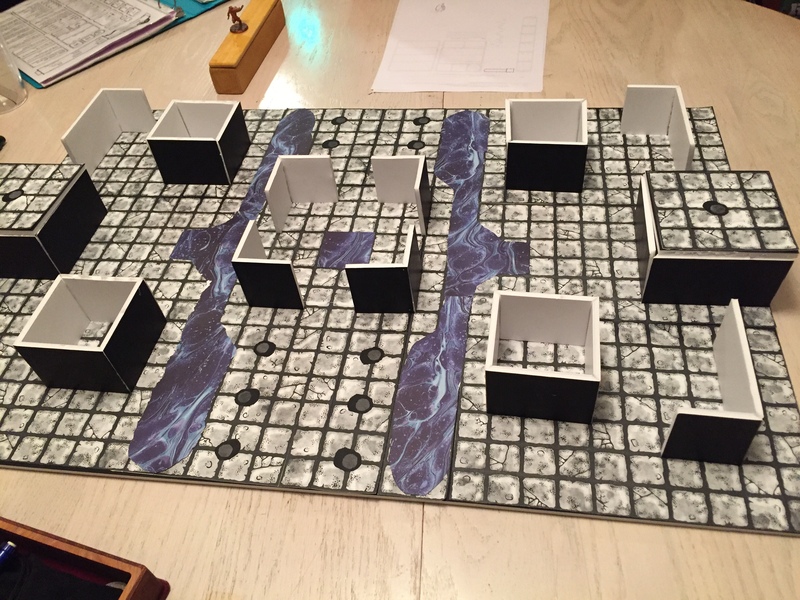 For customized room shapes and sizes, print out your dungeon tiles and arrange them before cutting out your foam board. This does take more time, but it’s definitely worth it when you have a really odd shaped room. As you can see in my arena pictures, you get a lot of tile details. Please note that the “water” is basically a patterned paper you can find in a crafts store and are not included in the tileset. You can see more photos of the dungeon tiles in the DriveThruRPG product page. But rest assured, Axebane has plans for more tile products to come, and I highly recommend you follow him to get all the updates. You can follow Axebane on Twitter and check out his Patreon for additional content. Again here you can download Axebane’s Dungeon Tiles on DriveThruRPG here.